Cliff’s Landing is a way of life! Living in the Cliff’s communities is truly fantastic. This crisp and clean, freshly painted two bedroom, two bathroom condo has a second story covered balcony overlooking Ford Lake. This unit has a great room with a cozy gas fireplace and access to the balcony. The dining room is adjacent and also has outdoor access. The unit is outfitted with new Anderson windows and sliding doors! 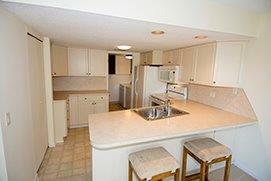 The bright white kitchen is remodeled and includes all appliances. The laundry room is conveniently located in the unit, and the washer and dryer are included! 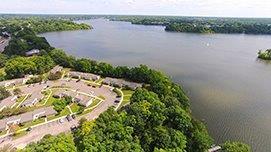 This condo has a dedicated carport and docking privileges on Ford Lake. In fact you can see your dock from the private balcony! You can dock a pontoon or speed boat or any other water craft. Association fee includes sewer/water, building maintenance, pool maintenance, and snow removal. This piece of Ann Arbor real estate will not last long ! Put this one on the list and you will be glad you did.